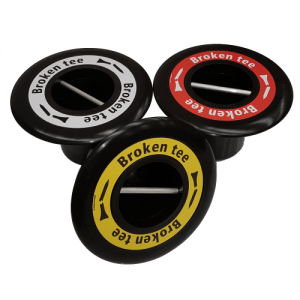 JUST a quick post to update everyone on some new products now available for you to purchase at TJ Golf. We also have some special offers to announce in conjunction with the launch of these new products. Firstly, we would like to introduce a new addition to our Bournville range which is our new litter bin. 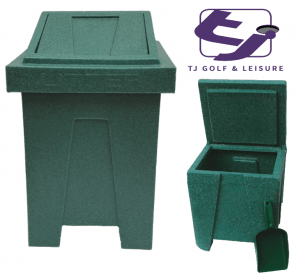 Like our existing Bournville Divot Box, the bin has been constructed from long lasting, durable plastic. This means that these items are extremely hard wearing and able to withstand various extremes of weather. The text has been moulded in which eliminates the likelihood of stickers or paint being rubbed or peeled off. As the bins have swing lids you can ensure that rubbish is always covered and their versatile design makes these bins a great addition to most public amenities as well as on the golf course. Standard black bin bags can be used to line these bins for easy removal of waste. List prices for the Litter Bin and Divot Box are £105.00 and £92.50 respectively. Our current promotion is a Buy 3 get the 4th for free deal on either of these items. You can order this deal directly through our webshop via the below links. If you are an existing customer or would be interested in opening an account with us then please contact us in the normal way. 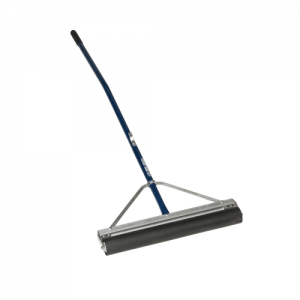 The next item is our brand new Roller Squeegee, available with either a 24″ or 36″ wide roller. Our new model has a Heavy Duty Aluminium Frame and unique wrap around bracing system. With a 60″ Ergonomic Blue Powder Coated Aluminium Handle for extra downforce these items are excellent for pushing water through grass and smooth hard surfaces. Widely used on Golf Courses and professional sports fields alike. This new Roller Squeegee has the same qualities as the Standard Golf Magnum but with superior bracing. These are currently offered at the more affordable prices of £139.50 for the 24″ version and £159.50 for the 36″ version. The same buy 3 get the 4th for free promotion is also available on this item.